Hi Rita! I've been known to stay up way too late reading. Guess it's a good representation of all us lovers of the written word! Agreed! My favorite place to read too, Mona! Thanks for stopping by! Wanted to let you know Wordpress shut down my blog. I'm already setting up a new one, self-hosted, and it will have the same name. Will let you know when it's up and running. Have a wonderful weekend. Thanks for letting me know, Laura. I tried to go to your blog on Friday and received the message that it had been shut down. I'm so sorry! Look forward to hearing when your new blog is up and running again. Keep me posted! I have a chaise lounge in my living room that is MY chair and everyone knows not to sit in it. Best purchase I ever made. I also have a heated throw blanket. Heaven! 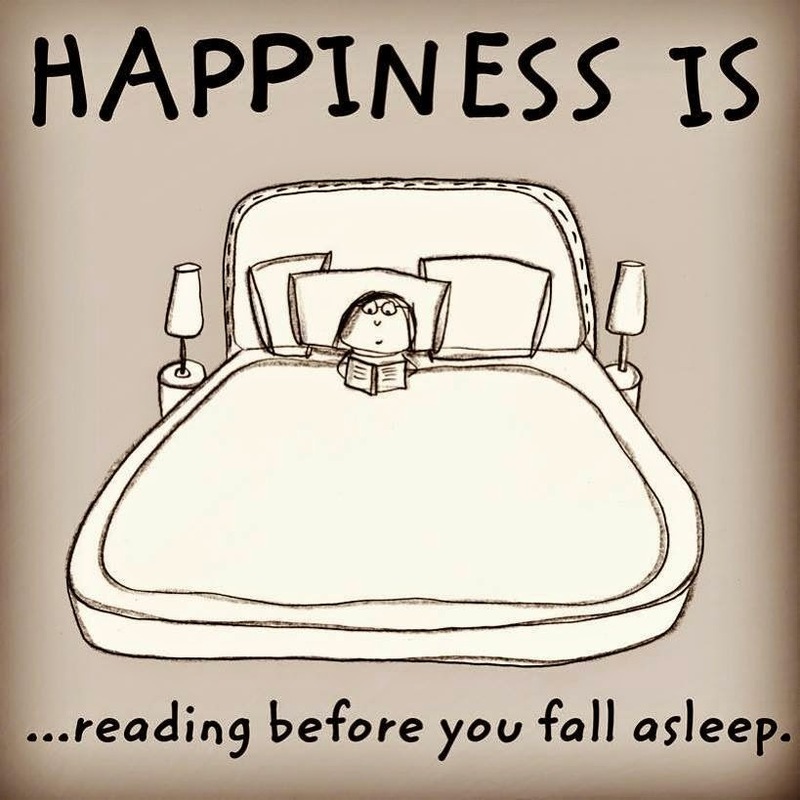 If I'm reading, it's either in my chaise lounge or in my bed, one or the other. Well, I admit, I also read while I'm brushing my teeth! !